Micro-learning has become very important in today’s corporate training sector. It is basically appealing busy corporate learners, who can get important and on-time information at their own convenient place. Both informal and formal training can be imparted through a micro-learning strategy, though it is most commonly used in training sessions. In many cases, micro-learning has learner-centric approach as it offers required information in a very short time. As it doesn’t hold much information, keeping everything in mind is easier. From the business point of view, micro-learning is good because it is quick and affordable. Due to its short duration, the cost of micro-learning is less than that of traditional learning and you can create, deploy and update it quickly. But, developing an effective micro-learning is a very difficult task. To develop a useful micro-learning course, concise, relevant and digestible information should be given in an appealing package that immediately bridges the gaps. 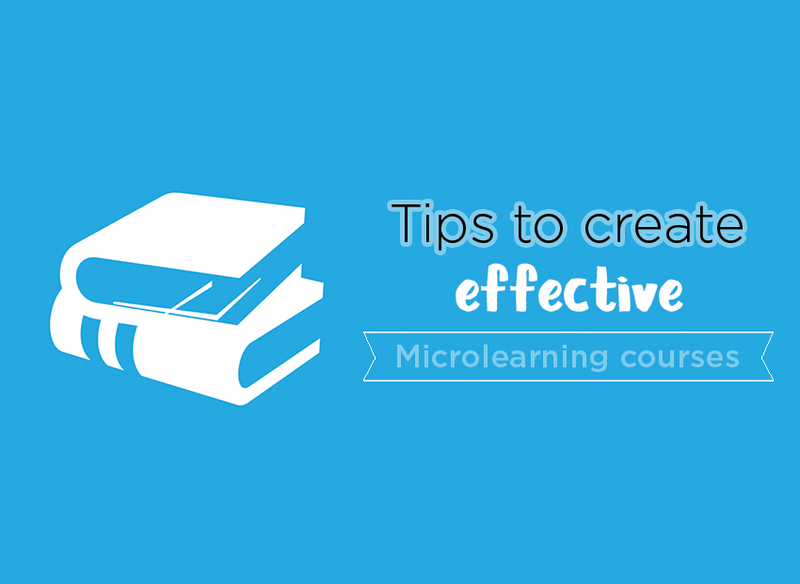 Following are some useful tips to develop an effective micro-learning course. It is very important that you know who your target audiences are before you make a learning strategy. In this digital world, the learners have a very less attention span. So, micro-learning has to pass these obstacles and drive engagement. Learning objectives are the results that your learners get at the end of each course. For an effective micro-learning, your storyboard should have only one objective per asset. In micro-learning, you cannot use the content that is being used in traditional e-learning courses. You can’t make micro-learning appealing by just adding videos and interactivities in it unless you change the nature of the content. Learners should be able to use the training content to bridge their knowledge gaps. To do this, you have to present the content in such a way that the learners get involved in the learning process. The learners will gain more knowledge if they relate to the content. So, use real world examples, scenarios, and experiences in your storyboards. As the learners relate themselves to the content, the knowledge retention is quick. For effective micro-learning, learners must be involved in the course from the start. The learner will retain the information only if they are able to relate to it and use that knowledge in real life situations. Your micro-learning course should be such that it invokes curiosity, raises anticipation and make them think. Including different multimedia elements like infographics, videos, and demos in your micro-learning in an effective manner so that it becomes more impactful and retains knowledge. Graphics, videos and images puts a strong impression on the learner’s mind while audio narration helps in retaining information. Infographics helps in remembering and visualizing the information and interactive demos gives the learners a chance to actively participate in the learning process. You should use the active voice to make your micro-learning storyboard more effective. Avoid narratives, in order to keep your course simple, clear and focused. Keep the tone conversational, so that the learners can relate to it.